'The Vicar of Dibley' gets full tribute in this documentary featuring clips, behind-the-scenes footage and interviews with cast and crew members. 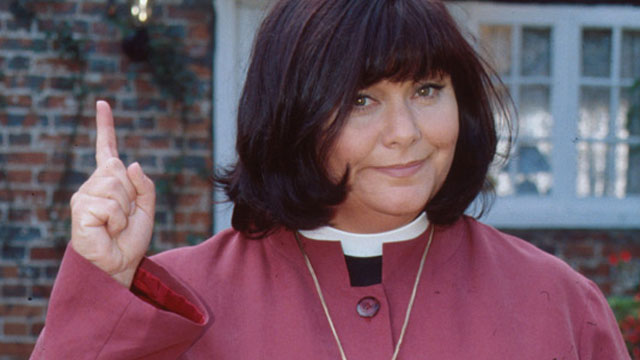 Dawn French (Geraldine), Emma Chambers (Alice), series creator/writer Richard Curtis and others reminisce about this all-time favorite Britcom, including how the idea for the show began when Curtis attended a wedding presided over by a female vicar, to the development of each mad-but-loveable character, to the political impact of the show. Revisit some of the show’s most memorable scenes: Geraldine jumping down a mud hole, Alice’s “Teletubby” wedding, Geraldine ministering to Letitia on her deathbed, Alice giving birth in a nativity scene, Geraldine’s finally receiving a proposal of marriage.